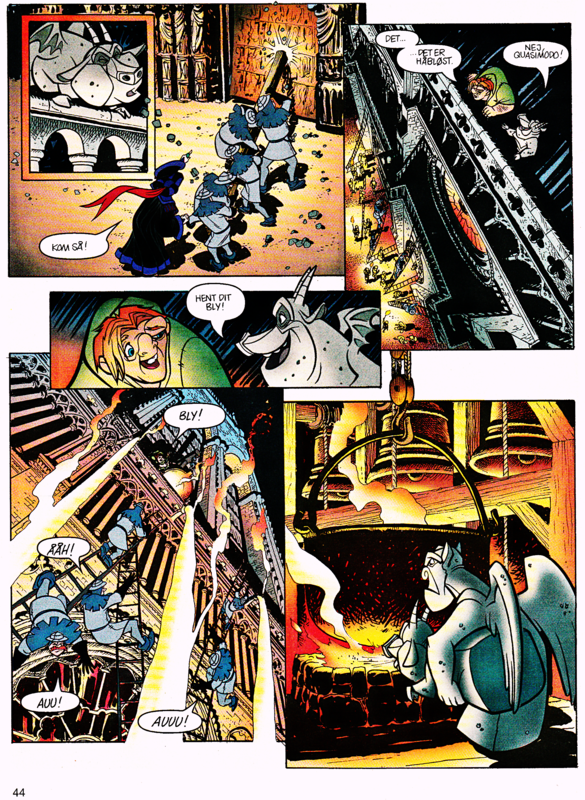 Walt Дисней Movie Comics - The Hunchback of Notre Dame (Danish Version). 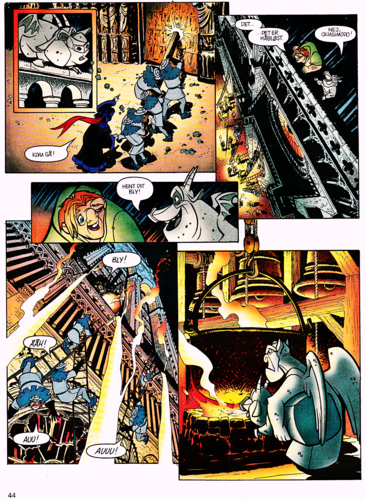 Page 44 of the Official Walt Дисней Movie Comic of "The Hunchback of Notre Dame " (1996). HD Wallpaper and background images in the Герои Уолта Диснея club tagged: walt disney characters walt disney movie comics the hunchback of notre dame quasimodo hugo victor judge claude frollo. This Герои Уолта Диснея photo contains аниме, комиксы, манга, анимационные фильмы, комикс, мультфильм, and книга комиксов. There might also be витраж.